Is the concorde making a comeback? The Concorde is a supersonic passenger airliner which can reach over twice the speed of sound. When it first revealed in the 1960s, many airlines lined up to buy it as it was seen as the future of air travel. After a short operation, many problems put the Concorde into the debate. At supersonic speeds, aircraft generates loud sonic booms that can be heard along the entire flight path. It was estimated that sonic booms generate by a single flight can be heard by five million people. Finally, it retired in 2003 under pressure from public, environment and politics. Air travel at half speed of the last century is not progress. The Concorde has a huge advantage in speed. It can reach at Mach 2.2, while today’s commercial jet fly at Mach 0.85. Take the route from London to New York for example. The distance between them is 3,470 miles. The current subsonic planes take seven and a half hours, however the Concorde only need just over three hours. Air travelling at half speed of the last century is clearly not progress. Utilitarianism can be adopted to support this argument. To a utilitarian, the choice that yield the greatest benefit to the most people is the one ethically right. In this case, the Concorde clearly much faster than the current subsonic commercial airplane, it will benefit most of the people who need air travel. Time is money, time is life. Supersonic air travel may change one man’s life forever. For example, patients who need urgent surgeries now have more chances to live. There are also many studies predicts that supersonic travel will boom economics and accelerate globalism. It provides more opportunity and possibility to the general public. One common argument for going against the Concorde is Concorde is wealthy passengers’ toy since the ticket prices are significantly higher a regular jet. Such a premium ticket price keeps most of the people away from supersonic air travel. However, this argument is pointless from a long term of view for the aviation industry. Aviation industry needs pioneers, need the companies with vision and courage to step up the game. The development of Concorde is not easy, there’s are many engineering challenges need to overcome. Take British for example, the development program burned £1.3 billion totally without considering the cost of manufacture. If we stopped commercialising the supersonic air travel, the development progress would be slower and slower since the investment is very limited. It’s harmful to the future development of the aviation industry. And the supersonic air travel will never be possible for the next generation. In 2012, there was a plan attempts to revive the iconic Concorde to fly over London’s 2012 Olympics. However, the engineering team quickly found how difficult that is and finally dismissed the plan. After Concorde suspend for almost a decade, the related industry was gone. This is a perfect example of how stopping commercialising supersonic air travel damages the relevant industry. Some companies try to reinvent the Concorde with modern technology after half a century, aims to make supersonic air travel more affordable and available to more people. NASA is attempting to reshape the conventional fixed-wing design to solve one of the biggest concerns of supersonic aircraft, the sonic boom. And making supersonic air travel quiet and more efficient. With lower price tickets, improved business model and optimised engineering solutions, the supersonic aircrafts have a much greater opportunity to earn back the development cost. We have to slow down before we are ready! Concorde produces particularly loud sonic booms as it has a maximum speed over twice the speed of sound at Mach 2.2. The sonic boom which generates enormous amounts of sound energy can be extremely startling and even as loud as an explosion or a thunderclap to the human ear. What is more, it’s powerful enough to shatter windows. It’s evident that people who live next to the airport are deeply influenced by the intolerable noise made by Concorde. According to the Kant’s theory whose basic principle is that act as to treat humanity, whether in your own person or in that of any other. Airline company shouldn’t disregard of the harm to the community that sonic boom noise might result. They need to ask themselves if they want to live next to the airport and suffer from the extremely loud sonic booms constantly. Airline company also shouldn’t damage the relationship between their potential customers who live on the flight path and take these into consideration when they make the decision to operate the Concorde commercially according to care ethics. Another issue for Concorde is the damage to the environment due to the highly fuel-consuming engine installed on it. The nitrogen oxides released by Concorde is much more than a regular jet. To a utilitarian, the choice that yields the most significant benefit to most of the people is the one that is ethically correct. The airlines do not care about the damage to the global environment but how much profit they can get. In order to fulfil the interest of certain groups of customers and airlines, the environment for whole human beings is sacrificed, which is against the spirit of Utilitarianism. Moreover, the Concorde needed more operating cost than others, its calculated operating cost was $3,800 per block hour in 1972, while the actual operating cost of $1,835 for a 707 and $3,500 for a 747 in 1971. It also demanded maintenance crews and flight specialists, which meant the additional high cost. Airbus predictions of Concorde maintenance cost in the next few years was $62 million (£40 million) in excess of airline projections. The fuel also became a big problem since the Concorde consumed more fuel, but oil prices began to increase in the 1970s. So the massive fuel consumption and high fuel price formed another problem. Then, an Air France Concorde crashed on taking off with 113 people died and the following the September 11 attacks, bringing low public confidence of the Concorde. Last but not least, revisiting its business model. The ticket price for Concorde is extremely higher than normal jet since it only offers just over 100 passenger seats for single flight. Because of high operation and manufacturing cost, it’s painful for the airline company to cut down the ticket price. The unreasonably high ticket prices keep people away from it, and it finally becomes a luxury lifestyle for wealthy people. Although the Concorde provides a unique supersonic air travel experience and offers many possibilities and opportunities for the future. Our group against the commercialization of Concorde at the current stage. great topic and discussion. I think Concorde could change the way we live but the environmental and social impacts should be solved before implementing a supersonic flight. Thanks for the comment, I agreed with you that we should deeply review and revisit Concorde before it implemented. I think you need to strengthen the ethical reasoning. Much of your article focused on the practical arguments for and against, such as cost. This focus is necessary but then needs to be linked to the ethical theories. Thanks for your comment. I agreed with you we focus on many practical facts. However, most of our facts we used are based on ethical theories. Here is some additional ethical reasonings explanation which we discussed to linked the factors with ethical theories. For the supporting view, Utilitarianism says the action that brings the greatest happiness for the greatest number should be chosen. We think all human being can potentially benefit from supersonic travel in the future. Then we discuss, the frequent user of supersonic air travel which are rich people who experiences a luxury lifestyle and who has an urgent situation such as patients who need organ transplantation. These people who seem to obey the moral to protect our environment (supersonics air travel make way more pollution than subsonic). In Kantian ethics, autonomy is emphasized, a man himself should be able to determine what is morally correct through reasoning. In this case, patients have their right to live. Have the right to live is morally correct for them. We also use Virtue ethics for our supporting view. For the last argument, we listed the facts of what happens if we stopping developing the latest technology, we just fall back to our starting point. For Virtue ethics, the nation of acting person is focused. It indicates which good or desirable characteristics people should have or develop and how people can achieve. In our case, good characteristics can be responsibility, courage. The airline companies and airline makers have the responsibility to further shape their industry and pioneering the next generation air travel technology. They also need to have the courage to step forward not to play safe and conservative. These character traits are called virtue, they not only indicate how to lead a good life but also what a good life is. For against argument, we used Kant’s theory and utilitarian with many issues arising from supersonics air travel such as sonic boom and environment issues. The last argument is a fact why Concorde fails from its business model point of view. Generally, the content is comprehensive and attractive in regard to the history, background and further development of concorde. The supersonic flight do bring us convenience but the disadvantages like capacity, price, pollution and ethical issues need to be considered carefully before implementing . This blog given a clear introduction to the Concorde, which can attract the readers to keep on reading on the discussions. There is no doubt that the authors prepared a logical comment on the advantages and disadvantages of the Concorde. The best aspect was the statements about the disadvantages, where they proved their opinions with somewhat evidence. However, with respect, when reading the advantages, the statements were much weaker than the disadvantages. Therefore, my suggestion is to use a same piece of evidences to support the advantages. Also, it will be better to use the language as a tool to speak their voice. The topic is quite novel, the supersonic air travel is really a controversial topic. Apart from the fails of the business model and the technology limitation, the NOx pollution it emits and substantial fuel it draws are what I considered. The global trend for the transportation industry is now focusing on more efficient and environmentally friendly solutions. From this standing point, the slow subsonic airline seems more future proof. However, it’s also hard to judge that more efficient and environmentally friendly aeroplanes are ethically right. Just like you mentioned in the article, what about those people like patients are eager to travel with them. There’s a huge contradiction there right. I think you can further discuss them and draw a conclusion. My opinion is neutral so far. Overall, good article. Hi, thanks for your comment first, I like your idea about what is ethically right is hard to judge. From a global trend of saving energy and using renewable energy, the faster Concorde really looks inferior. Points taken. Generally, this is an excellent article, the article clearly points out the concorde the improvement of the human life also cite its has shortcomings, but I think the existing technology may not be able to really solve the existing problems in the concorde, because these problems for the lower quality of human life is very serious, so I think we need to wait for the development of science and technology enough to solve these problems, and open the application of supersonic aircraft. Thanks for your comment, I agreed with you to suspend Concorde before the technology are mature enough. It’s such a pity that we haven’t had the chances of experiencing the supersonic air travel. I remember it was banned by the U.S. government due to the sonic boom. 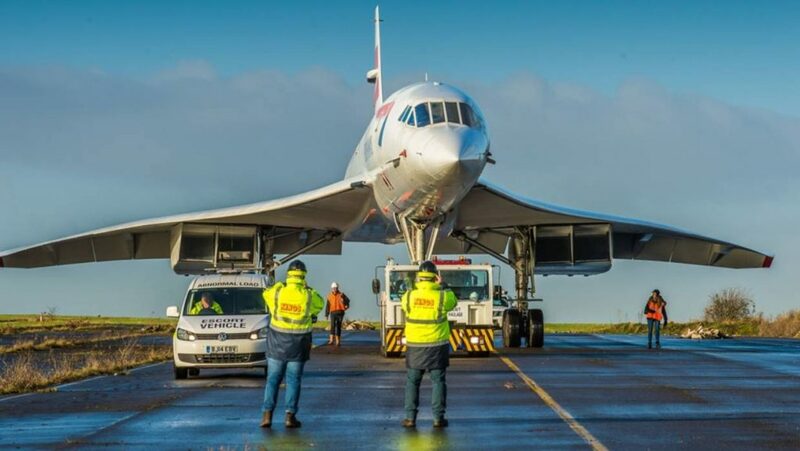 I think the government should let their citizen vote for whether the Concorde should be banned rather than make the decision by only hearing a small group of voice against it. Thanks for your comment, yes, I agreed with you to let the public decide whether we need to suspend it rather than deciding by a small group of people who may make an unfair decision due to their own interests. In my opinion, there is no need to develop supersonic aircraft. Aircraft as a means of transport, in the past few decades, has been widely used, its speed has not much room to rise. Instead of accelerating the plane, think about how to make the plane fly more smoothly and make passengers feel more comfortable and safe. I’m for the side. We do need faster planes so we can get to our destination faster. For example, to transport materials to the disaster area, the time requirements are very high. Therefore, we should develop more rapid aircraft. I don’t believe in supersonic commerical airplanes since we don’t even need that high speed to travel around Earth. In my opinion, the time spent on the travelling is an essential part of it. We cannot only forces on the distination and igonre the travelling itself. Therefore, the subsonic commerical airplanes can perfectly meet today’s market. Besides, the loud noise and vibration of the Concorde is a big issue not only to the people on earth but also a trouble to the passengers. The loud noise during the travelling may lead to hearing problem. It could also increase the stress rate of the passenger. Regrading the strong vibration of the plane, the passangers may feel dizzy. What worse is the strong vibration may reduce the life span of the engines and planes, which may lead to material waste for replacing the parts. Furthermore, the supersonic airplanes usually cost more energy than the subsonic ones. This waste of energy will push human beings into the energy crise. Also, the more use of fuel will strength the air pollution, which will pollut the enviroments. The article is overally concise and cut the edge, which is worth reading. The revise of Concord is indeed a controversial topic. However, the argument that the development of the aero industry need the Concord even with enormous cost is a great point. Since every advanced technology have to pass through a phase that is often considered overpriced, the Concord is in and must to be in the phase also. That is, people should not be afraid of the cost; instead, try to improve the technology to make people more convenient. From my view, the origin of the debate for whether the Concorde can be used in commercial purpose is based on the problems which appears in it’s flying process. Like other technologies, there always are many issues when the new technology come out, but we can not stop our exploration when this technology is immature and bring lots of problem. On contrast, we should definitely increase investment to tackle these problems to make the Concorde fly in the sky with cheap, safe, eco-friendly. I agree that we need to develop some technologies without considering the cost. However, in my opinion, the main aim of commercial aeroplanes design is to save fuel by reducing the drag. It will cost too much if the flight speed is 2 Mach. Moreover, for most flights, the planes could arrive at their destination in several hours, which means supersonic planes could help save 2 or 3 hours. Considering the time wasted on waiting for the planes and collecting luggage, it may not a good idea to develop commercial aeroplanes. This is an interesting article, I think the Concorde should really improve its business model if it want to come back. I agreed with your conclusion that, although a technological marvel, Concorde is unnecessary and unethical due to its environmental impact and exclusiveness to the rich. I do not agree with your first Utilitarian point that “it will benefit most of the people who need air travel” makes concord justified. Firstly, you have only considered one group of people – those who need air travel – and secondly you have mentioned no harms YET, such as the high ticket prices that are inaccessible to the general public. It does not make sense to look at a single benefit in isolation with Utilitarianism as you have done here. This argument would be much better placed at the end of the whole document, once you have established all those affected and the good and harm brought to each party. The care ethics and Kantian point are better in the against argument. My suggestion is that you strengthen your technological argument by evaluating the true value of technological improvement. Is there any important ethical reasoning supporting producing more powerful, faster planes? Perhaps it inspires the next generation of engineers to help develop the technology into something more efficient as a consequence; you could tie this kind of thing into a utilitarian weigh-up. Thanks for your very valuable comment. Yes, I agree with you that we should place Utilitarian that first, benefit ‘ the most of the people’ is so subjective. This will be discussed in our next assignment. Points are taken as well for the against the argument. I think you can have both supersonic and normal aircraft. Ordinary aircraft serve as the main means of flight, and then a small number of supersonic aircraft are launched to provide much-needed passengers with the choice of which aircraft to use. Sonic boom and environment problem did exist for supersonic flight. However, I don’t think they are that critical, some of the points in my opionin are overly exaggerated. Since most of the time the concorde are flying over the ocean, the sonic boom will not disturb that much the human being. However, it still needs to discuss whether it has an effect on the animals since it may cause serious ethics argument on the anaimal right. The environment problems argument isn’t tenable. U.S. claims banned Concorde for the environment? Why they withdrawal from the Paris Agreement? I like the topic of this article. Although I am familiar with or heard about Concorde before. The ethical reasoning of for argument should be strengthened. Like you mentioned in the last comment, which party can be determined as the major which party is the minor needed to be further investigated. In my opinion, based on the business model and targeted customer, the Concorde is a very niche product, most of the people will not benefit from it at least for the current technological achievement. In other words, it’s better to use Utilterism as an against view. As you mentioned, it’s bad for the future industry development many related researcher or engineers many facing unemployment. It’s also very time-consuming to train the next-generation researchers and engineers and persuade them to dedicate in supersonic air travel research.